Handmade Custom gifts, decorations, diaper cakes and much more for all occasions! We specialize in baby showers and birthdays. We are your one-stop shop for all of your party needs. We have gifts, decorations, party supplies, centerpieces and anything else you can think of. Need a unique gift for a new expecting parent, buy one of our amazing diapercakes. We have something for all budgets. Visit our new store at RaeLeeMaeShop.etsy.com Amazing custom Jewelry, dog collars and leashes, foot print necklaces and keychains, baby/kid belts, blankets and so much more. Foot print necklaces are made with your child's actual prints. Due to trademarking, copyright and licensing reasons. Because individuals were using our photos and business name. 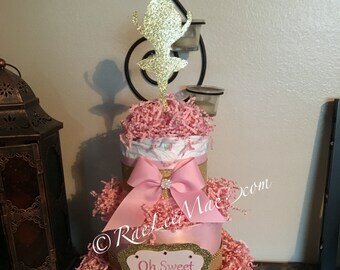 We incorporated our business and changed our business name from SugarPlum Creations to RaeLeeMae. Thank you for understanding. **PLEASE NOTE: PUT IN NOTES TO SELLER THE DATE YOU NEED ITEMS BY. PUT DATE PRIOR TO EVENT DATE! ITEMS SHIP BY DATE YOU PUT AND WHEN ORDERS ARE PLACED. ALL ITEMS ARE HANDMADE AT TIME OF PURCHASE. PLEASE ALLOW A COUPLE OF WEEKS FOR YOUR ORDERS TO BE MADE AND SHIPPED) (if you do not put the date you need by we cannot guarantee you will receive your item(s) in time. We are not responsible for items that do not arrive in time if you do not tell us what date you need them by. No cancellations, refunds or returns! 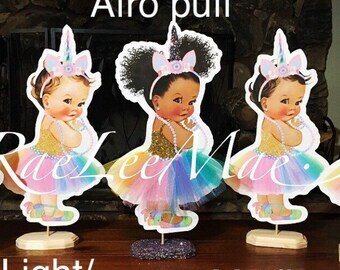 Thank you for taking the time to stop by ReaLeeMae aka SugarPlum Creations. We look forward to creating a gift that your loved one will love. Checkout our facebook page for coupons, and giveaways!! Thank you for reading about our shop. Remember you must put the date you need by in notes to seller when you check out. ALL COUPON CODES MUST BE ENTERED AT THE TIME OF CHECKOUT. WE CANNOT ADJUST ANY ORDERS ONCE YOU HAVE PAID FOR YOUR ORDER. NO EXCEPTIONS. Adorable can't wait to use at shower. A little smaller than I thought, but will be so cute at the shower! Easy to work with! in a town called Quartz Hill, CA, RaeLeeMae was created. Years ago my cousin was pregnant and I wanted to get her something special. My girlfriend Desi said "why don't you make a diaper cake". I had no clue what she was talking about. So she told me what to buy and showed me how to make my first diaper cake. Then my little sister got pregnant and I decided to make her one. 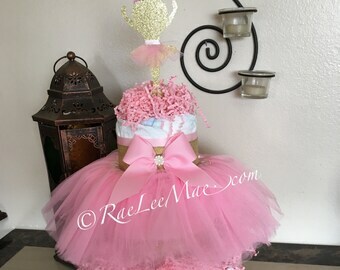 People saw my two cakes and asked me to make diaper cakes and other items for them. For a couple years I only made them for friends and their friends and family members. People kept asking if I had business cards or a website and at the time I did not. I decided to dedicate all my time to expanding RaeLeeMae online. It has been a great success and something that I really Love doing. We are proud to announce our New name RaeLeeMae and we cannot wait to add so many new items and creations. We also opened another shop www.RaeLeeMaeShop.etsy.com which we sell our amazing custom Jewelry line and many other creations. like baby, toddler and kids belts, blankets and so much more. Take a look at our beautiful footprint necklaces and keychains. They are made with your child's actual prints. It means so much to us to share our creations and love of what we do with everyone. Thank you to all of my return customers, old customers and new customers for your business. I hope to have a long lasting relationship with each of you! We are family owned & operated. Family & Friends help in making your amazing creations. We took a short break to have another child & to relocate the business & reorganize our work space. We changed from SugarPlum Creations to RaeLeeMae. We are the reason RaeLeeMae was created. We love to help make your creations, when we are allowed. But, when we are not allowed to help we love to still try, and we drive everyone crazy in the process. We are crazy, fun, ambitious boys! Sit back, relax and let RaeLeeMae do all the work for you. We turn normal everyday gifts into a unique gift that is sure to Wow!!! We are only limited by our imaginations. If you have an idea that you don't see just let me know and we can see if we can make it for you. Have fun looking around!!! !